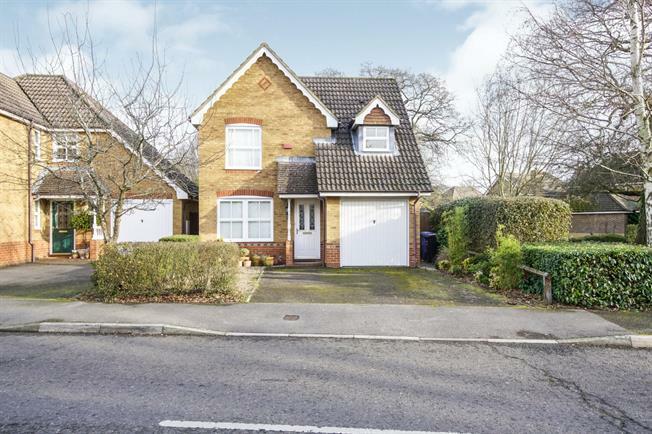 3 Bedroom Detached House For Sale in Fleet for Asking Price £425,000. Constructed by Bryant Homes to the Rydal design and located on the popular Zebon Copse area of Church Crookham is this well presented three bedroom detached family home. The property has a entrance hall, 15 foot through lounge/diner, kitchen with access to the garage, utility room and downstairs WC. Upstairs there are three bedrooms, one with ensuite and dressing area and a family bathroom. Other features include double glazing, gas central heating and a driveway with off street parking for several leading to a garage.